When I was a child I had a real affinity for books that had what I would call a “hard-luck factor.” My favourite books centred around heroines who were unloved or unwanted, who suffered poverty and hardships, and who – in the case of Heidi – were sent away to big cities to entertain wheelchair-bound children. In all cases, the heroine would overcome all obstacles to be showered with love, affection, and occasionally amazing gifts, like Sara Crewe in her icy-cold attic room. Whether it was Anne Shirley or Emily Starr shedding their unwanted-orphan status to become much-loved members of the community, or Sara Crewe going from riches to rags to near-death from overwork and exposure to riches again, I devoured those stories, over and over. Sometimes the poverty would be relative, like Meg March having to wear an afternoon dress to an evening event. Sometimes it would be overt and terrible, like Laura Ingalls subsisting for months on a few slices of bread made out of ground seed wheat and a potato a day. But there is no poverty like the poverty in Depression-era Liverpool. 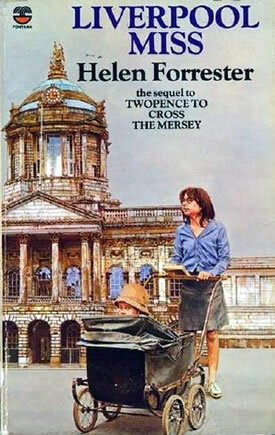 I was tidying my bookshelves the other day when I came across Liverpool Miss, by Helen Forrester. Are you familiar with this book? It is an utterly wretched, true story about a girl growing up in Liverpool in the 1930s. Her formerly-socialite-now-completely-broke parents force her, as the eldest child, to quit school to stay home to look after her six brothers and sisters. They have no money, and live on the brink of starvation in an unheated house that is overrun with bugs. She desperately tries to go to night school, and then to get a job, but is constantly discouraged by her parents, who treat her like a slave. In other words, it’s a pretty dark book. Eventually things turn out well – relatively speaking – although she undergoes a few illnesses that are exacerbated by her lack of nutrition and proper clothing. Any money that she manages to make once she actually gets a job is taken from her by her parents, who rail against her for every thing she does. What is it about these hard-luck stories that is so appealing to children? Is it the heroine’s inevitable rallying to overcome any obstacle, whether it be incredible poverty or simply the stigma of serving your friend what you thought was raspberry cordial but was really wine? 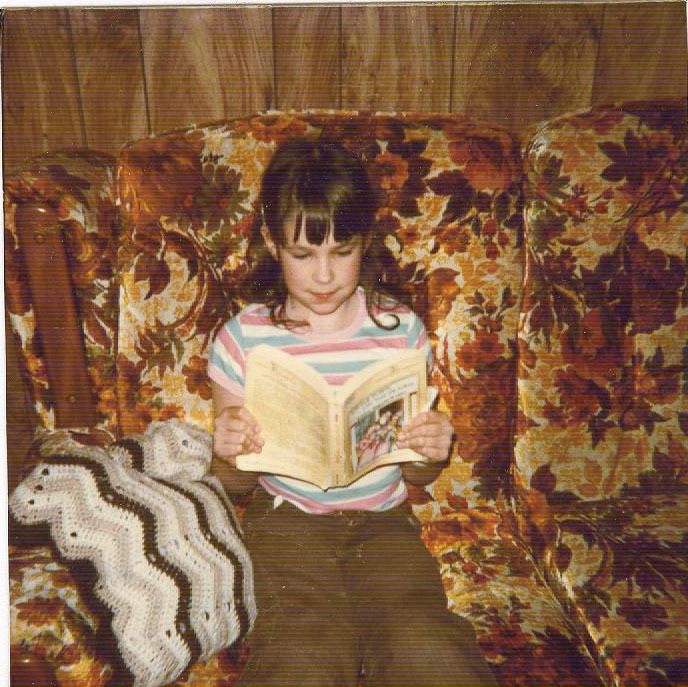 Or is it the way it makes the young reader’s life seem glorious by comparison? I mean, having a fight with your brother doesn’t really compare to having to make friends with a rat in the attic. Your mother being mad at you for breaking a plate isn’t really on the same scale as your mother telling you that you don’t deserve food and should save it for your six younger siblings. I think it’s probably a bit of both. The common theme in this genre is that the heroines are always eventually compensated in some way for their hardships. Laura eventually finds herself in the midst of a good old-timey romance, and is the recipient of a very special hair comb. Sara becomes a wealthy princess once more thanks to an accidental discovery due to her cheerful, optimistic spirit. Anne and Emily live their best lives and Heidi goes back to the mountains. And Helen, the Liverpool Miss? Well, she gets to go to the theatre once and…that’s about all. Posted on February 4, 2016 by throwbackthree	• This entry was posted in Uncategorized. Bookmark the permalink. I still love a good depressing read. See also: the orphan effect, whereby the protagonist must have dead / missing parents in order for the story to even get off the ground (Harry Potter, Anne of Green Gables, Emily of New Moon, James and the Giant Peach, A Series of Unfortunate Events, and so on and so forth). My own 10 year old is also heavily invested in sadness literature. I’ve not read the Liverpool books but now I want to! They sound right up my tear-drenched alley. I also highly recommend the Booky trilogy. You’d love it. Booky is great. Also Emily of New Moon. So many tears. The series starts with Twopence To Cross The Mersy. It fills you with rage because her parents are SO useless and her life is SO miserable for so long.